Laura Amy Schlitz is the author of the Newbery Medal-winning GOOD MASTERS! SWEET LADIES! VOICES FROM A MEDIEVAL VILLAGE, illustrated by Robert Byrd. She is also the author of A DROWNED MAIDEN'S HAIR: A MELODRAMA; THE HERO SCHLIEMAN: THE DREAMER WHO DUG FOR TROY; and THE BEARSKINNER: A STORY OF THE BROTHERS GRIMM, a retelling illustrated by Max Grafe. She lives in Baltimore, where she is a lower school librarian at the Park School. Angela Barrett studied at the Royal College of Art in England with Quentin Blake and is one of Britain’s most highly acclaimed illustrators. She has won the Smarties Book Prize and the W. H. Smith Illustration Award for her work and has illustrated more than twenty-four books for children, including classic tales, fairy tales, biographies, story collections, and picture books. She lives in London. An imaginative adventure story in a familiar, yet exotic landscape…. Beautifully composed, the artwork combines subtle use of color with a keen observation of nature that’s reminiscent of Beatrix Potter’s work. 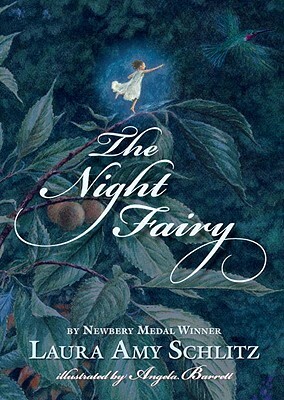 This finely crafted and unusually dynamic fairy story is a natural for reading aloud. This magical story features a main character who learns to value a quick wit and compassion as much as bravery in her adventures.